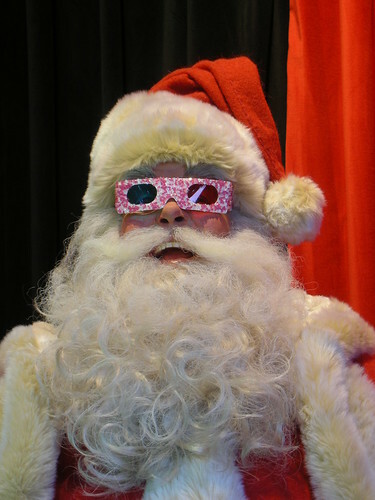 3D Santa, originally uploaded by Dave Gorman. Right... I expect this'll be my last post for a little while. I didn't have Christmas last year. I'd missed several deadlines on my book, had torn up a big section and started again and so I decided to stay at home, ignore the festivities and work. I say 'decided'... I didn't have much choice. I got up on the 25th and worked from 7am through to 4am stopping only to call my folks and to make - and consume - a butternut squash risotto. It was quite definitely the least Christmassy Christmas of my life. Anyway, it's satisfying to look back on the year and feel that the work I was doing twelve months ago was worth it. The book did really well and as a result, I think there's a new cheap and cheerful edition coming out in the spring. Hurrah. And this time round I've got all my work wrapped up and ready before Christmas so I'm able to stop and enjoy. The telly version of Genius is all boxed and ready. I don't know exactly when it'll be on air... probably springtime too. Obviously, I'll be sure to let you folks know as and when. Of course there's a Christmas Special on Radio 4 on Monday at 6.30. How that recording has been wrestled down to thirty minutes I'll never know. But it has and I think it sounds great. I hope you can catch it. Now... as I sometimes use this space to grumble about things I thought it would be more festive to mention a few things I really like instead. So rather than mither about the poor service I had out of Apple recently, let me recommend All Things Mac instead. This is only any good to you if you live in the South East of England and you're a Mac user (so that's about three of you) but they were fab. They were friendly and helpful and went out of their way to give me advice that saved me money and earned themselves nought. 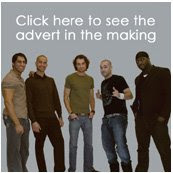 They could have solved my problem and made a few quid... instead they chose to give advice and not make a penny. Of course I'll be using them again as a result and I think they're smart enough to know that longterm customer loyalty is worth more than a few quid now. back in October too... but it really is fab so I'm doing it again. 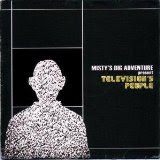 Grandmaster Gareth - the driving force behind Misty's Big Adventure - did me a huge favour by writing a special song for an extra on the Are You Dave Gorman DVD and I'm thrilled that they've now done the theme music for the TV version of Genius too. It's such a ridiculous thrill being able to work with a band that I'm a huge fan of. What a silly and exciting world this is. Anyway, I can't recommend them highly enough. Talking of bands I'm a big fan of and who have written songs for my DVD extras - and I think you'll find I was - this Helen Love album, It's My Club And I'll Play What I Want To , came out back in February this year. They're fab. It's fab. I love Helen Love and you should too. What's that, you say? You do? Oh. Great! Right, that's a book and two CDs... so here's a DVD. 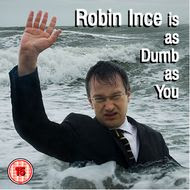 It's from Robin Ince who is one of the finest live comedians I know. Not only is he a brilliant writer and performer himself, Robin is one of the unsung heroes of comedy - or at least a not-sung-about-enough-hero. He curates fabulous nights in strange venues and has gone out of his way to foster a creative environment that allows comedy to expand beyond the rather rigid boundaries imposed on it by most pub-bound circuit-gigs which, while perfectly good in and of themselves, only really allow for a procession of gag-merchants with 20 minutes a piece. The comedy world is hugely enriched by his presence. The DVD is released by a company called Go Faster Stripe who specialise in promoting comedians they love but who aren't necessarily going to have their work advertised all over TV at Christmas or on a rack at the front of HMV. If you're really interested in live, UK comedy, you'd do well to peruse their catalogue... there's some fascinating stuff there. Crikey... look at that for unbounded positivity! It's all stuff that has made my life more colourful and enjoyable one way or another and even if none of this is for you - I don't know, you might be a PC user who doesn't live in the South East and who hates whimsy, elegance, beauty, charm, wit, excitement, flair and anything thought-provoking - well, the wider lesson is surely that somewhere out there, there is stuff that will excite you as much as this stuff excites me. Seek it out. Then tell your friends. To round things off - and to add a seasonal note - here's an old video I found on youtube from the aforementioned Misty's Big Adventure. It asks the question we've all wanted to ask before: Where do jam jars go at Christmas time? I don't think I've mentioned this before... but it seems eminently plug-worthy so I really should have done. 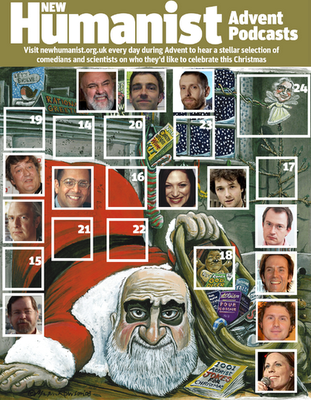 It's the New Humanist Advent Podcasts... a rationalist advent calendar in audio form. Behind each, erm, window there's a short audioclip where someone names the scientist/philosopher/thinker they think deserves to be celebrated. 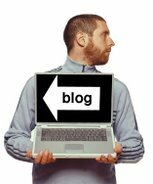 You can find them on the New Humanist blog, here, and if for some strange reason you're visiting from the future and can't be bothered to scroll back through their blog to find December, you can find a handy collection of all the podcasts here. 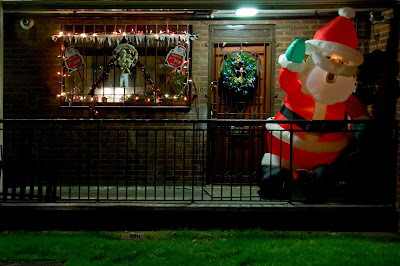 My own rather ropey contribution is here... happy Erdősmas. We recorded the Genius Christmas Special last night... in what turned out to be a marathon recording. I think we ran nearly an hour longer than our normal shows... and I'm aware that my energy levels were dropping by the end of the night. I've spent the last two or three weeks trying to shake off an annoyingly persistent cold. I tend to get better as the day goes on... but then wake up each morning feeling like I'm back to square one. My normal reaction to a cold is to exercise. I like to tell my body that I'm here and I'm fighting... so I've been cycling to Genius HQ each morning. Someone who seems to know what they're talking about has recently told me that it's the wrong thing to do and that it lowers the immune system... but by the end of a five mile bike ride I feel so much better than I do after cooping myself up on the tube so I keep doing it. There was one day last week when I did a morning in the office, an afternoon at home, a gig (yes, my experiment with unadvertised, short notice, short sets of stand up is ongoing) at the Albany on Great Portland Street, another gig at The Kings Head in Crouch End, returned to the Albany to see a few friends and then returned home. I reckon that added up to something like 25 to 30 miles of cycling although the hills around Crouch End made it feel like more. By the end of the day I was feeling the full smugness of a cyclist. Not only had I done my travelling in about the same time as the tubes and buses would have reasonably got me from A to B (to A to C to D to C to A) but the exercise left me feeling really healthy. I felt like I'd conquered my cold. My lungs were full of oxygen instead of the radioactive phlegm I'd been growing accustomed to... I really thought I'd won. Anyway... last night's show was my last work for the year. I've been trying to fight the illness for long enough to get that out of the way. Today I feel completely wiped out so I think it might be time to give in to the cold and let it take me down. I'll emerge on the other side. Hopefully before Christmas. *You have no idea how hard it was to resist the obvious, "it's a vicious cycle" pun. ... but I could have sworn it lasted longer than that. Sometimes you hear something that makes you question your own bank of knowledge... that makes you wonder whether something you've always held as a fact is actually nothing of the sort. Some time ago I went out with someone who didn't know that emus were real. She'd reached adulthood under the impression that 'Emu' was just the name of Rod Hull's puppet rather than an actual factual type of flightless bird. Then one day, we were sitting around watching TV and a nature documentary came on featuring emus. I could sense some kind of mild panic in the room as my companion tried to work out what was going on. She looked at me suspiciously as if the whole thing was some kind of elaborate practical joke... as if I'd somehow managed to make a fake documentary and get it broadcast on TV... just to con her into believing in these so-called 'emus'. Slowly it dawned on her that emus were indeed real, that this wasn't an over elaborate plan to make her believe in a fictional bird and that all it was, was a strange and hard-to-explain gap in her knowledge. Emus were real... and somehow they'd avoided her radar for more than 20 years of her sentient life. Well... there was a day this week when I found myself racked with self-doubt, convinced that I had stumbled upon a glaring hole in my own store of general knowledge. It started as I was cycling to Genius HQ a few mornings ago. I found myself caught up in heavy traffic and stuck behind one particular bus for longer than normal. Every now and then I'd get ahead of the bus - or it would motor ahead of me - but somehow, at the next set of traffic lights it would end up in front of me and there wouldn't be a channel wide enough for me to edge past it while we were stuck on a red light. The ad I was looking at - and that kept appearing in front of my eyes at every set of traffic lights - was basically a picture of that chap with the slogan 'Be Cervix Savvy' written across it in big letters. Why on earth were they using a man to tell people to be cervix savvy? Honestly, as I found myself confronted by the poster for the third or fourth time, I was starting to wonder whether I actually had a cervix. At the age of 37 I was cycling through London and genuinely wondering whether I'd spent my entire adult life wrongly believing a cervix to be a specifically female thing. Had I really spent years of my life not knowing what a cervix was? Was I really so cervix unsavvy? It's not as though I often sit around talking about cervices but I'm sure they've cropped up in conversation once or twice. How embarrassing were those conversations? Had people walked away thinking it was odd that I kept bringing the conversations round to wombly matters when they were trying to have a serious conversation about cervices? How had I got the wrong impression? Who'd told me that a cervix was a lady-bit? What had I mis-read? What joke had I failed to grasp? And what else was floating around in my bonce, masquerading as fact but really just an embarrassment timebomb waiting to go off. By the time I got to Genius HQ it was really troubling me but I didn't bring it up with any of Team Genius because I didn't want to have an emu moment. I didn't want to reveal my ignorance. It was only when I got home that evening that I decided to look it up for myself. I went to a dictionary and looked up cervix to see what it really meant. cervix: n. the narrow neck like passage forming the lower end of the womb. I'm very confused. But at least I'm confused about an ad agency's decision-making processes and not basic anatomy. Of course it goes without saying that if you have a cervix it's probably something to be savvy about. So do visit the over-manned and under-womanned site. I'm not a doctor but in my amateur opinion I'd say that water makes for a more than adequate solution to any 'dry mouth' issues you may experience. In fact, it's not just mouths that can be made less dry by water. I don't want to blind you with science so let's just say that water is one of the wettest things in the world. It's brilliant at being wet and can be used to make almost anything less dry. 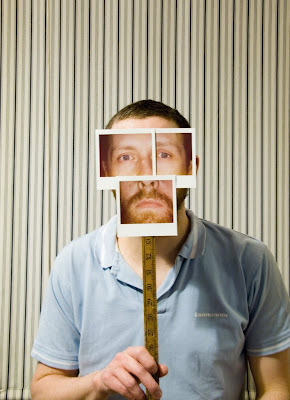 It definitely works with mouths. Well it certainly does with mine. In fact my mouth was feeling a bit dry only two or three minutes ago. I drank a glass of water. Problem solved. Of course water isn't always available in a big city like London so it's worth pausing to consider how I might deal with a dry mouth if I found myself unable to locate drinking water. 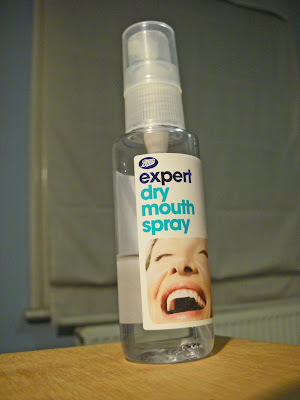 If only someone could invent a dry mouth spray of some kind. 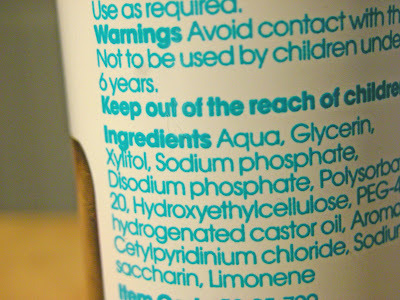 Of course while an amateur like me is capable of coming up with the glass-of-water solution it would need an expert to come up with a dry mouth spray... after all, it's not like it's going to be mainly water now is it? ... this one's made of Andi Peters. 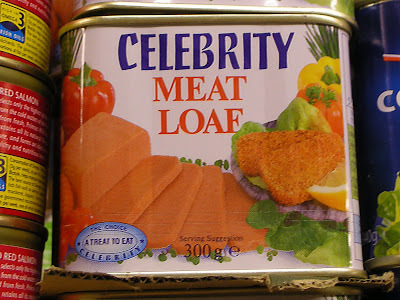 Actually, I asked about the ingredients and it's just Meatloaf. Thought he hadn't released anything in a while. Sorry. Normal service will be resumed soon.